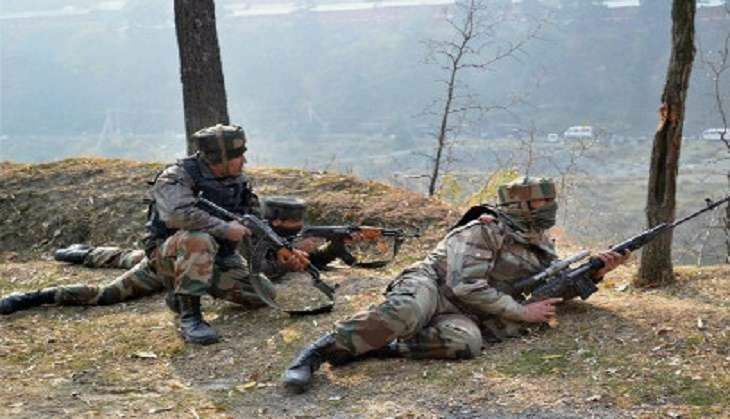 A police personnel was killed today in an ongoing encounter between the security forces and terrorists in Poonch district of Jammu and Kashmir, increasing the death toll to 77. 2-3 terrorists are believed to have entered a mini-secretariat building, which is currently under construction. According to an ANI report, one terrorist has been neutralised by the security forces and that the firing is on. A youth was killed in clashes between protesters and security forces in south Kashmir's Shopian district on 10 September. The current unrest entered its 65th day today. According to reports, at least 50 protesters were injured in clashes with the police and CRPF men in different areas of the valley. Shops and business establishments are closed, even as preparations are underway for the Eid-ul-Azha which falls on 13 September. Clashes erupted in Srinagar following the death of a government driver, Abdul Qayoom of Alikadal area, in a hospital on 9 September night. While, the family claims he had been beaten to death by the CRPF men, the police claimed that he was injured in a road accident. Earlier, clashes also broke out Shopian where the protesters set ablaze a mini-secretariat building, injuring more than 80 people. The deadly violence is happening after the killing of Hizbul Mujahideen terrorist Burhan Wani in an encounter with security forces in south Kashmir on 8 July, where thousands of people have been injured.